I'm telling you right now, if you are a Christian who is unable to make fun of modern Christian culture, then stop reading right now. You won't get it. Because I am a young, hip, Millennial Christian living in Dallas, finding a church home has been a top priority for me. My roommate and I have searched high and low for a church in Dallas and at this point, we are Goldielocks, except the beds are churches and the bears are worship leaders. These are my tales of the experiences. It's meant to be funny, so start laughing now. One Saturday night, I literally Googled "church for young people" and this church came up. So we headed there one chilly Sunday morning. Upon walking in, we realized "young people" meant ages 37-45 because we were the youngest single people in there by far. Worship was a show. 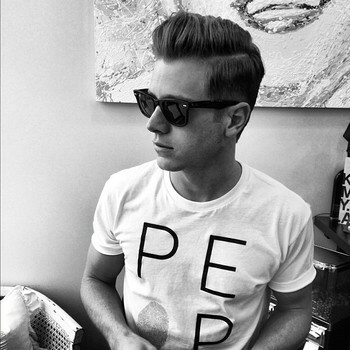 One of the guys singing looked like Jef Holm from the Bachelorette. He was wearing a titanium wedding ring, like young Christian married men do. He had skinny jeans and half of his head was shaved. I imagine his wife was somewhere barefoot and pregnant Instagramming about the many #blessings in her life. Worship was — how do I say this nicely — not my cup of tea. Worship leaders who love themselves more than the god they are worshipping don't excite me. How do I explain my feelings toward worship? I don't like worship music. If that makes me less of a Christian, then ok. I can listen to this or this or this all day long, but as soon as MercyMe is singing during a Thanksgiving parade on my TV, count me out. And how do I also explain my fascination with worship leaders? They are the oddest people because they so clearly love themselves so much, so I can't take my eyes off them. And their voice. Don't get me started on worship leader voice, but since I just got myself started on it, here I go. Do you know the worship leader voice worship leaders pray with? It's raspy so they sound more spiritual? And the prayers make no sense? And they add runs to the song where there are no runs? Because they want their own worship album? ANYWAY, the sermon was good. It was my favorite of the sermons in this blog. The preacher was good and nice and I even saw him on the local news talking about the refugees and I agreed with his point of view, so one point for that church. Ahh, this one had such great potential until the preacher started yelling at everyone about living in the moment because Jesus did that when he turned water into wine????? And then he mentioned something about how my generation doesn't partake in adventure??? And then he got so into what he was saying, he actually grabbed a man in the front row and shook him???? Worship at this church was umm, unique. 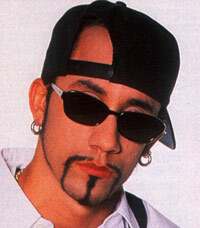 The worship teams was made up of a black guy, Asian girl, a white girl with blunt bangs, and a guy on the drums who looked like AJ from Backstreet Boys. It was like they were a commercial for a church with all the demographics. Before the worship began, the associate pastor said to my roommate and me, "I'm assuming y'all are single," and also told us that the church is kind of Bapt-scopal. Baptist with the beliefs and Episcopal because they raise their hands during worship and one girl in the back of the church yells "YEAH" after everything the preacher says. After a 13-minute-long prayer where the preacher started praying about married couples starting businesses together, we were done. I hate, HATE, when people complain about big churches because it's like, oh yeah, I hate that there are tons of other people worshipping my god with me. So this church being rather large doesn't affect me. But, like, do we have to be against everything????????? After this church teased an upcoming class about in-vitro fertilization, I was done. I could look further into it to see if they are against or for it, but it would be a weird thing to have an entire thing dedicated to it, if all they were going to say was yes, it's fine, do it. God made doctors?????? ?